Yeah, this one’s pretty easy. 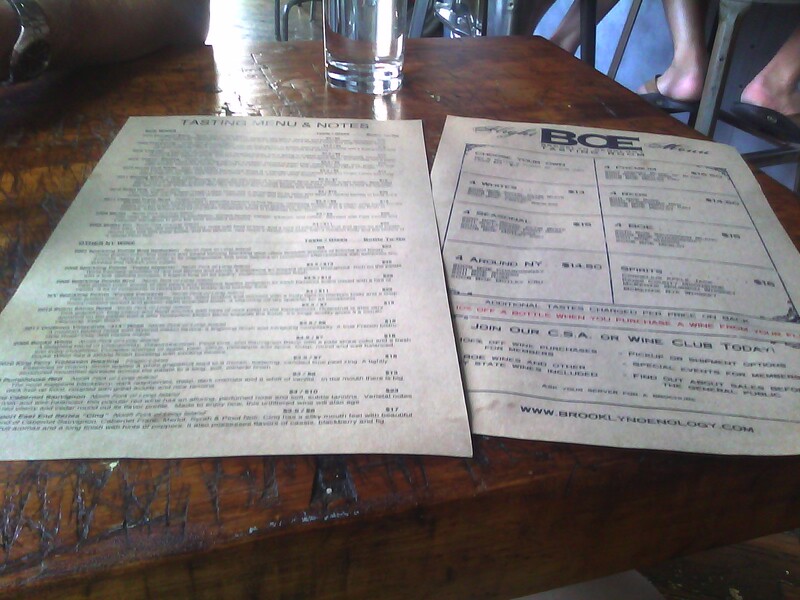 Beer gets a bit more difficult with so many fantastic microbreweries all across the country. But, wine, I got that one covered. Practically the only wine we have (unless presented as a gift) is from New York. Earlier this month I pointed out my favorite Long Island wineries. Unfortunately I haven’t had time recently to go to the Finger Lakes or Hudson Valley. Both are a bit of a trek (5 and 2 hours respectively) but even worse, pretty difficult to get to without a car. There used to be a wine bar in Manhattan, Vintage New York. Not only was the place right around the corner from my office and had happy hour specials, but it served only New York wines (and some pretty tasty food!). I was amazed to find their prices were similar to what I was used to seeing at the vineyards themselves, so no crazy “travel to NYC” surcharges. Sadly that place is gone. I heard rumors of financial struggles, owner disagreements,who knows what really happened. All I know is I was walking by one day and it was gone. And I mean gone, gone. The corner building had been knocked down as well. A very sad day for me. That is until a few years ago I discovered Brooklyn Oenology that not only sells only NY wines, spirits and beers, but makes their own wine as well! 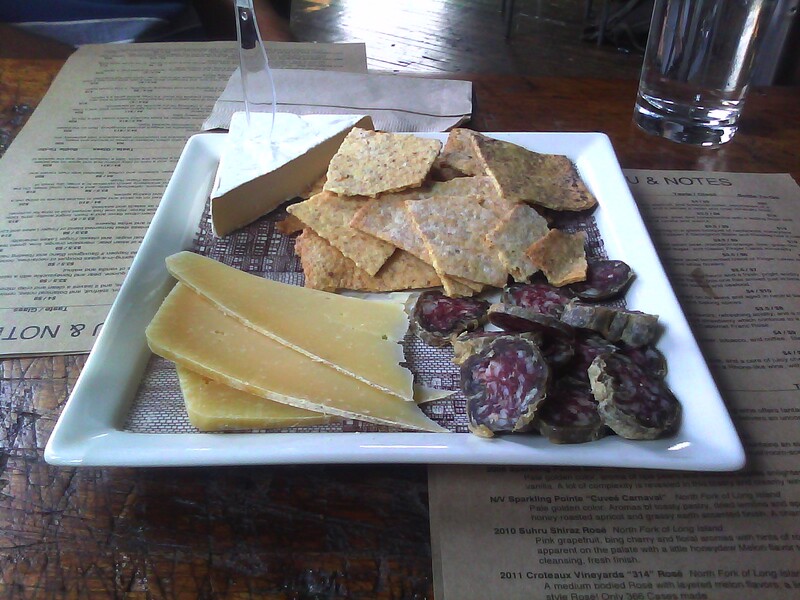 Brooklyn Oenology doesn’t do a full food menu, but they always have a rotating selection of meats and cheeses and local snacks. The tasting room is located in Williamsburg and like many Williamsburg establishments, is in an old loft/warehouse building so exposed brick and industrial charm is everywhere. Cheese plate–how could you ever go wrong? Their staff is FANTASTIC! Always helpful in selecting one of their many flights or even more patient if you choose to build your own, as I usually do. The list of tasting options changes frequently and all can be enjoyed by the taste, glass or bottle. There are plenty more bottles for sale in addition to what is available that week for tasting. 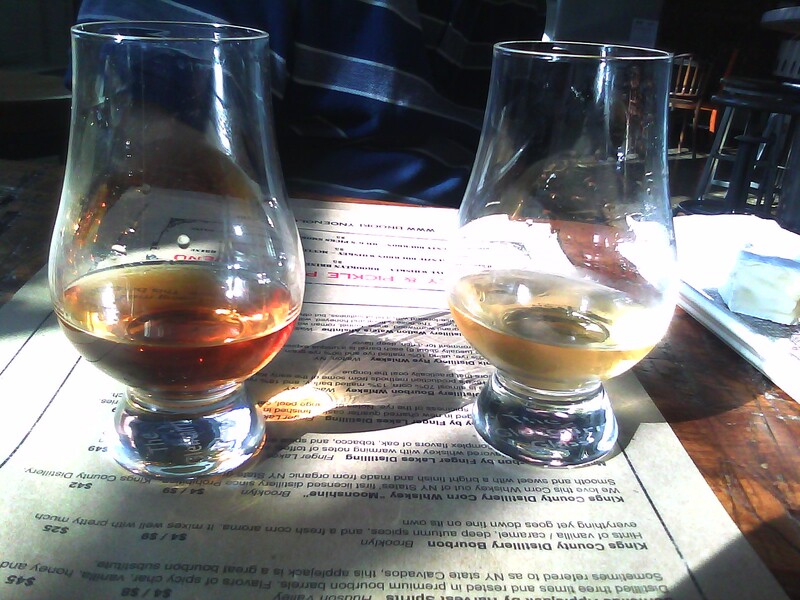 Have a taste, flight, glass or bottle. It’s up to you! Last time I was there I fell in love with Treeleaven’s Dry Riesling, a winery from the Finger Lakes. It was bright with citrus notes, like no other Riseling I’ve ever had. Brooklyn Oenology’s 2011 Cabernet Franc Rose was impressive. Light and dry but still had more completity than a number of other NYS 2011 Roses (2011 wasn’t the best harvest year thanks to Hurricane Irene). Their 2008 Viognier was quite impressive and a grape that I don’t see as often as I would like. 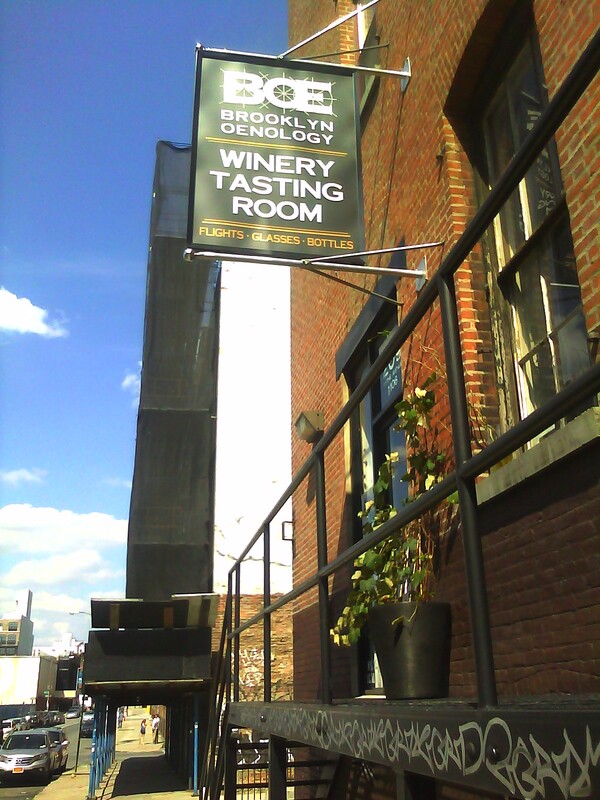 If you happen to be in Williamsburg for Brooklyn Flea, Smorgasburg, dinner or any other reason, certainly stop by Brooklyn Oenology. 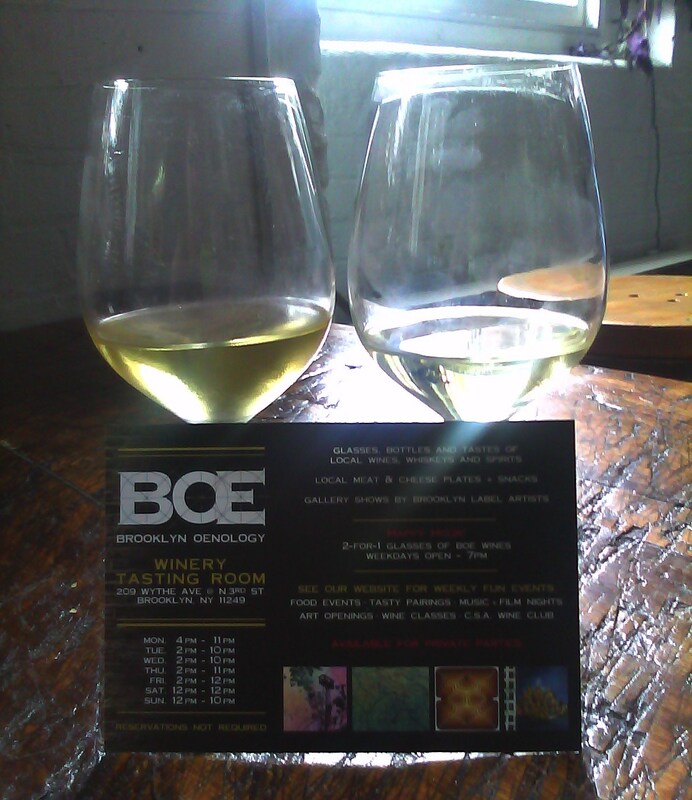 Bonus: Monday-Friday until 7pm is happy hour featuring two for 1 glasses of BOE wines! Previous postWhen Life Gives You Grapes, Make Jam!